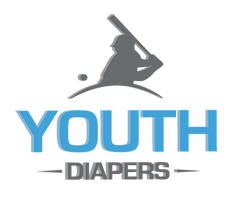 Youthdiaper.com is offering a wide variety of Diapers for Teenagers. 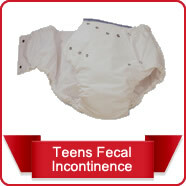 We carry a growing amount of incontinence products, which will help teens be free of the worry of leakage either from urinary incontinence and/or bowel incontinence because of adequately effective teen diapers. 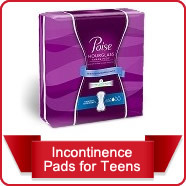 This site is dedicated to helping teens win the fight, develop confidence, and be able to lead the active life they so deserve. 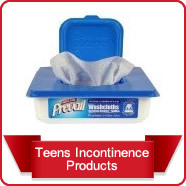 If your teen is fully incontinent, try getting them a pull up from the "Teen Pull Ups" tab, preferably a Tranquility or Prevail product. 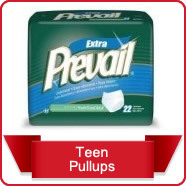 Prevail has the added benefit of being thin and discrete yet still absorbent. 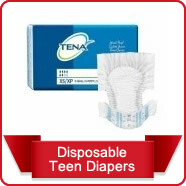 Tranquility products are very absorbent. 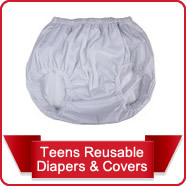 If you're having trouble finding something that works, try a something by these top two brands.